When disasters strikes, ASAP Restoration, LLC is ready to respond 24 hours a day, 7 days a week. You are guaranteed to speak with one of our knowledgeable technicians day or night. ASAP Restoration, LLC is you high quality home restoration company in Phoenix with corporate headquarters located in Scottsdale, AZ. 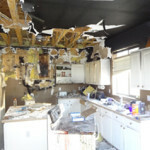 During our 25 years of combined experience in Phoenix restoration repair and Phoenix water damage repair, we have provided the very best water damage, mold remediation/testing, sewage cleanup, fire damage, smoke damage, storm and flood damage, asbestos removal and testing, dead body and crime scene cleanup, and reconstruction restoration services in Arizona. ASAP offers immediate response to any claim or property loss and helps to minimize the damages to the structure, contents, and eases the sometime catastrophic effect that a disaster may have on an owner or occupants. ASAP clients like you can depend on timely service and immediate reaction to help protect and restore your home, business, or office on time, on budget, and with the utmost professionalism no matter what type of disaster you are dealing with. 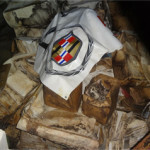 ASAP Restoration makes your fire or water damage loss temporary and your restoration permanent. Restoring your home after a flood or fire can feel like an overwhelming task. When your walls are covered in soot or your home is knee-deep in water, you need a solution – and you need it fast. ASAP Restoration LLC has the expertise, training and equipment to help save you in your time of need when dealing with a disaster like fire or water intrusion. T here are two types of contractors that provide emergency damage repairs: contractors that work for insurance companies, and contractors that work for you. It can be very difficult to tell them apart! ASAP works for you! Please beware of so called “Preferred Contractors” recommended by insurance companies! Very often, these companies already have a contract with your insurance company. These vendors are working for your insurance company, NOT YOU! When you choose ASAP Restoration LLC, you choose a company that works on your behalf! At ASAP, you are our first priority and we put your best interests first. While we are well known and respected by insurance companies and adjusters, ASAP does not have contracts with any of them! Know your rights and bring in a consultant who wants to work for you, not the insurance company! 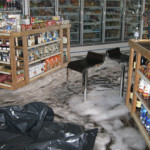 ASAP is your Water damage restoration specialist in Phoenix and Scottsdale Arizona. From mold testing to mold damage restoration, storm damage, fire and smoke damage restoration, you can count on ASAP to be on your side. 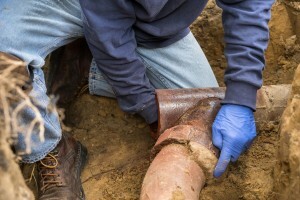 ASAP also offers crime scene cleanup and sewage cleanup services that meet required sanitary guidelines. When you need restoration from a natural or man made disaster, make ASAP your first call.